The Cardboard 3D VR GLASSES is specially designed for smart phones and can add great effect to the movie-going experience. It can be regarded as your private 3D Cinema and bring you great game experience. And, It is easy to be used by people, even the youngest children or the senior, you just need to put your cell phone into the relative slot of the item. And then, you can greatly enjoy the 3D movies or VR games. It is perfectly suitable for students, white-collar worker or travelers, etc. 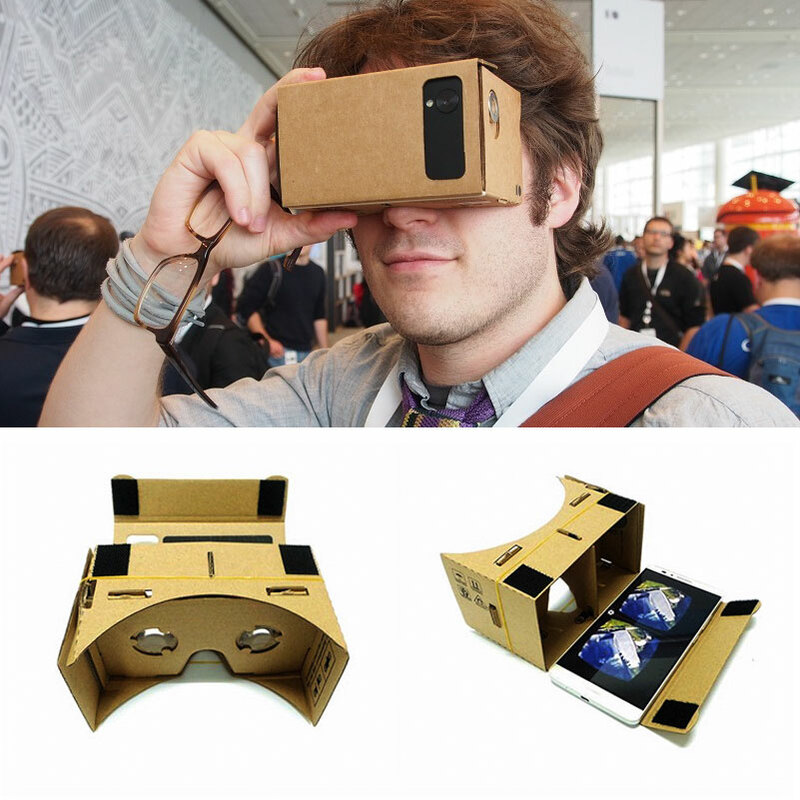 – A simple and inexpensive DIY Cardboard Virtual Reality Glasses. – Works with most smart phones (Includes, ISO and Android Smart phones, etc.). – Compatible with smart phones (with up to 6″ screen). – Easy to use: Assembled in less than 10 seconds. Just slide, flip, secure and enjoy. – Simply slip your Cardboard-enabled phone into the assembled kit to start experiencing breathtaking VR! – Secret images, other people cannot see anything except to the wearer himself. -Easily fold to original state and slide in the protective sleeve when not in use. – Conductive Foam Button (The Conductive foam button give you complete control of your experience) replaces the magnet switch of version 1.0. Works on both iOS and Android devices. – Virtual Reality made easier, lighter and more fun. – The item also includes Velcro strips (which is used to secure both the top and side panels of the VR Kit) and a rubber band.